Exciting and inspiring our precious children to have the curiosity to explore, the inspiration to create, and the courage to think big. The most enduring, loved, and top selling toys have always been those with multiple ways to play. The most fun comes from imagining and creating through play. Do what you like. Make what you like. Make it work however you like. Great toys do not come with rules! 4M has been STEAM innovator since 1993, committed to promoting learning-as-play, science through art, and challenging young minds. Over the past 25 years our catalogue has expanded to over 400 unique toys that are creative, imaginative, inspiring and fun, and through our global distribution network, sold in boutique and specialty stores, museum shops, and used by educational institutions around the world. With a reinvigorated focus on STEAM learning-as-play, our local design team continues to innovate and design high quality educational toys, and in 2018 we established Imagine Station, infusing modern tech with timeless playability in a new series of STEAM oriented toys, connecting young minds and little fingers in a tactile odyssey. Each discovery with Imagine Station reveals new possibilities for even more exciting discoveries. Imagine station is where creativity and playability converge. 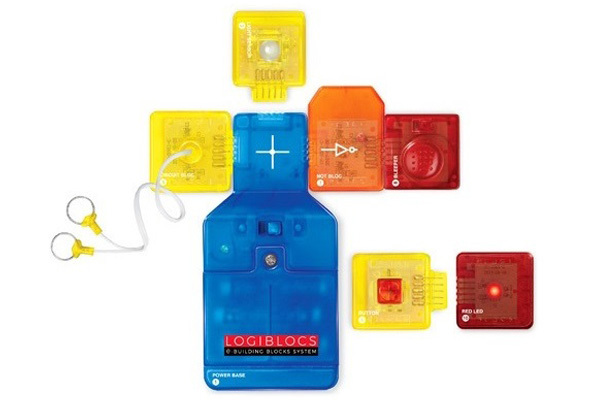 Logiblocs is the electronic delivery system that teaches simple logic, circuitry, and coding with fun and rewarding results. Children connect Logiblocs in unlimited combinations to experiment with input/output, with each new connection opening new possibilities. The first of Imagine Station’s coding products, Logiblocs was honoured with the prestigious Red Dot “Best-of-the-Best” 2018 design award, and we are hugely encouraged with the knowledge that, with Imagine Station, we continue to set trends at the forefront of STEAM innovation. Coding is the future, but it is also the present. There are those who can and those who cannot, and the advantages for those who can are becoming more apparent all the time. 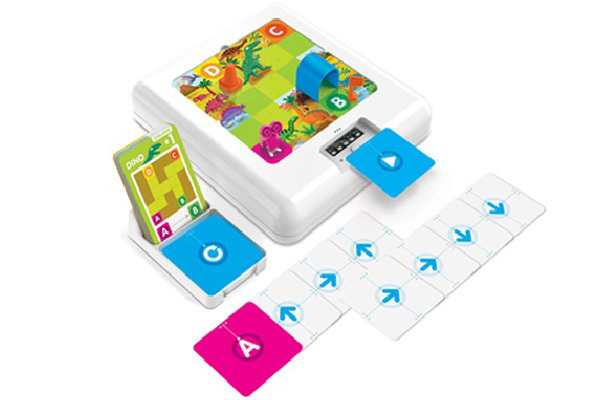 CODEAMAZETM is a handy little gadget that makes simple coding accessible to young children. Easy to grasp for both young minds and small hands, CODEAMAZETM is hours of learning-as-play that builds a valuable foundation for lifelong learning. 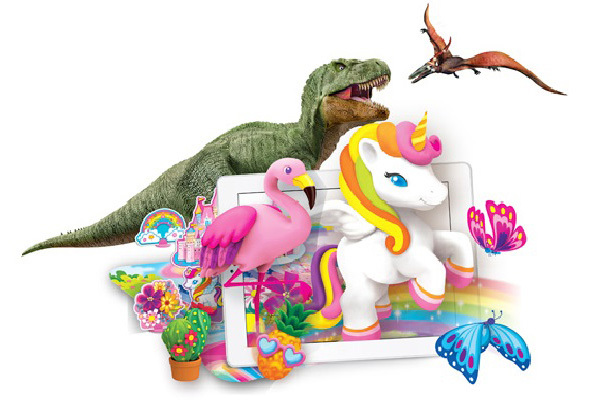 Augmented Reality is proving to be revolutionary to the toy industry, and the way that children interact with their toys, their devices, and the world around them. AR Floor Puzzles combine all of these in a creative, interactive experience with a big ‘Wow’ when the impossible becomes possible, and wonderful animals are brought to vivid life. 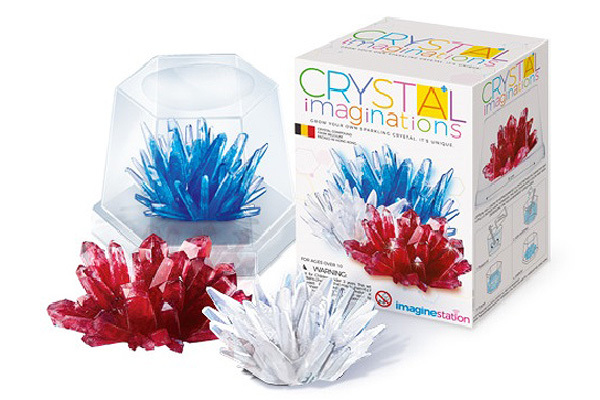 Crystal Imaginations allow each unique child to create their own unique dazzling crystal in their own design and choice of colors. Individual personalities can shine without limitations, and with experimentation, begin to understand the scientific principles and unique physical properties of crystals. High quality and safety tested crystal compound from Belgium and seeding solution from Australia assure parents of the highest of standards, while kids just smile, laugh, and learn. 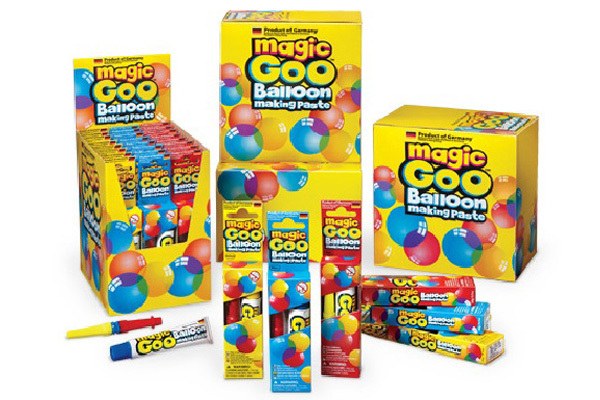 Magic Goo is a modern marvel of unlimited potential. The possibilities are limitless, and any wacky idea from a creative young mind can come true. Giant, unburstable balloons, crazy creatures, shapes, and patterns help unlock creativity and allow young personalities to express themselves. All of our products are designed with a safety first attitude. Imagine Station extensively and rigorously tests and retests all of our products before they ever appear on shop shelves. We work closely with highly reputable testing labs to ensure that all elements of our products, from the ingredients to their eventual use in various activities, conform to the latest U.S. and E.U. safety standards. We love kids, and play with Imagine Station is playing in safety. As Imagine Station’s parent company, 4M is extremely grateful for the recognition and accolades from industry organizations and design competitions over the years. The hard work and industry leading standards will continue with Imagine Station. We commit to constantly striving for excellence and bringing forth exciting innovations. Together with our business partners, parents and kids, Imagine Station is looking forward to another great year in 2019! Imagine Station Limited. All rights reserved.